It’s knockout football from here to the Super Bowl! It’s Wild Card Weekend in the NFL. One match this Saturday night UK-time, one in the early hours of Sunday, and two more on Sunday evening. One or two clubs have agonisingly missed out (see file marked ‘Pittsburgh’). Some came with a proverbial wet sail (Philadelphia), to nab a spot. Four teams enjoy a well-earned rest for a week – the respective Conference’s top-seeded teams. From the AFC, Kansas City (1) and New England (2). In the NFC, New Orleans (1) and LA Rams (2). They join in for the next round. Weekend’s four matches fall within our ever-popular ‘Double Delight’ promotion – full details of which can be found HERE! Basically, if your selected player scores the first touchdown and then goes on to score another, we will double your first touchdown scorer price! Desktop or mobile. A great offer to add to your Wild Card Weekend fun. Here’s a look at the Wild Card Weekend matches featuring the other 8 teams that have made it to the Promised Land of postseason. A cracker with which to kick-off proceedings. Similar regular season records, but perhaps the Colts come with greater current momentum. QB Andrew Luck is having an excellent time of it, but barring frustrating injury absences he’s invariably top drawer. Houston have veteran defensive end (and living legend!) 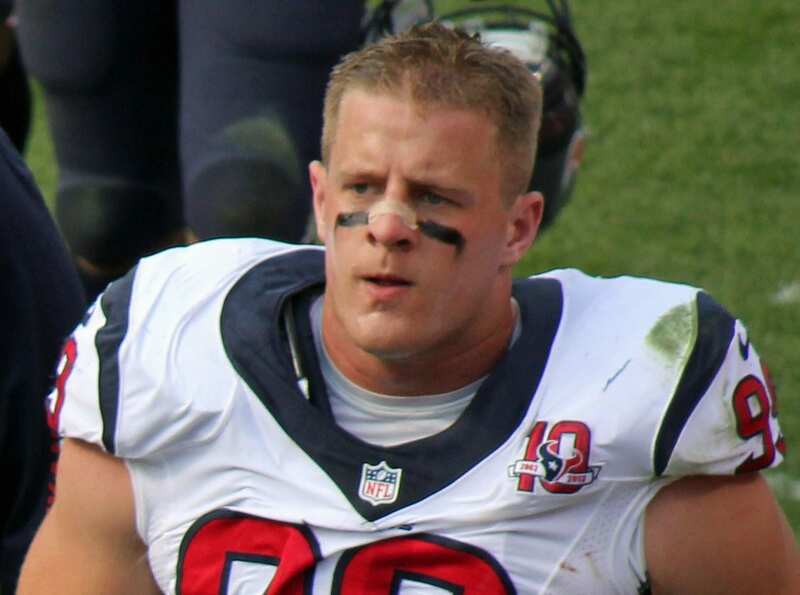 JJ Watt (pictured above) to help snuff out Indy’s attacking threat, and Deshaun Watson to set up their own offensive opportunities. And don’t dare forget wide receiver DeAndre Hopkins – here’s what he can do! Another mouthwatering collision in prospect. 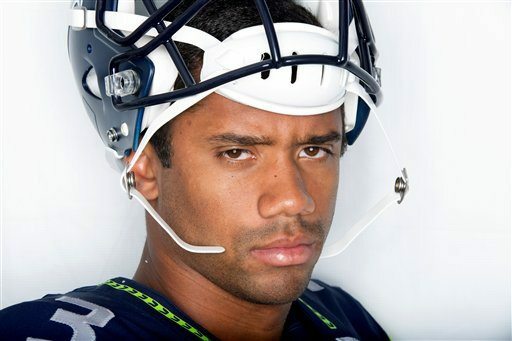 Russell Wilson’s (above) expertly-quarterbacked Seahawks go to the cavernous AT&T in Arlington, Texas. You only get one shot in knockout football – so go for it, guys. A must-see …. they all are! At not-quite 22, Lamar Jackson becomes the youngest-ever starting QB in NFL playoff history. He’s been an absolute whirlwind since injury to Joe Flacco propelled him into the Ravens side. Baltimore are on a bit of a roll, and will prove a difficult opponent to handle at home. 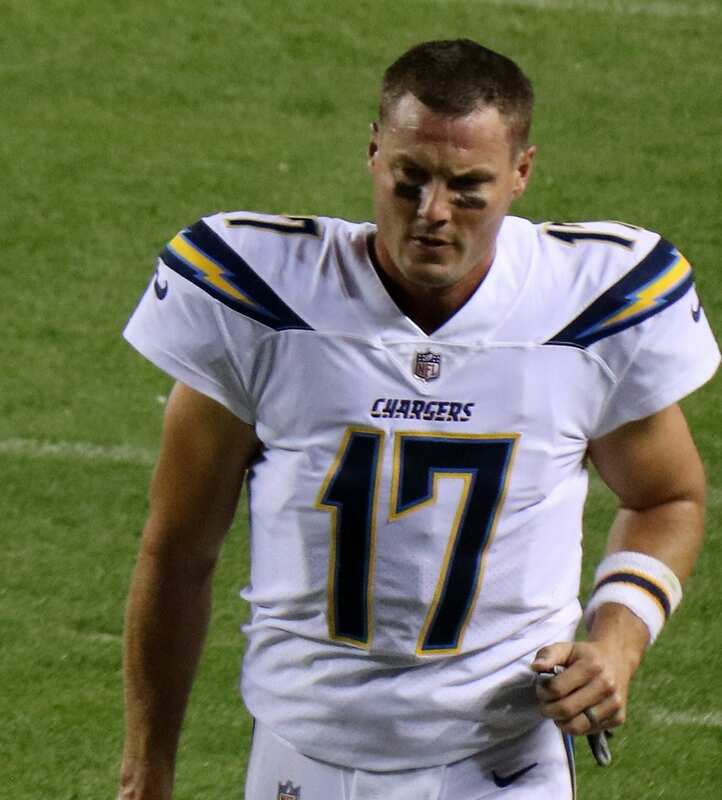 For the Chargers, veteran Philip Rivers (above) is having an excellent season running their offense, and they have an awesome record on the road. He’s running out of Super Bowl time, and will want to keep that dream alive. Only one sensible option then – to play the total, and let those playmakers play ball. Two old-school football clubs steeped in history. Bears have made it with some style, albeit with their own, tough-tackling, no-nonsense aplomb. Philly have sneaked in with 3 clutch wins in a row to keep alive their hopes of retaining the Vince Lombardi Trophy. Linebacker Khalil Mack (pictured with similarly fearsome colleagues, above) was an inspired signing for Chicago, and has taken their ‘D’ to a new level. He may be one of the NFL’s highest-paid defenders in history, but he looks worth every penny. I find it difficult to envisage anything other than a Chicago win, but it could be mighty tight. Could also be fairly inclement too, as an early January evening at Soldier Field is rarely tee-shirt and shorts territory. Foles will continue to try and inspire the Eagles in January. He’s gloriously been there before, but may have his work cut out this time around. If you’re betting on American Football, plus for all the latest Super Bowl outrights – Betfred!